The AA-1A Base Adapter allows you to attach the KeyMission 170 to a mount accessory. It can be attached to the camera's tripod socket and features a quick release for fast attachment/detachment of the mount accessory. 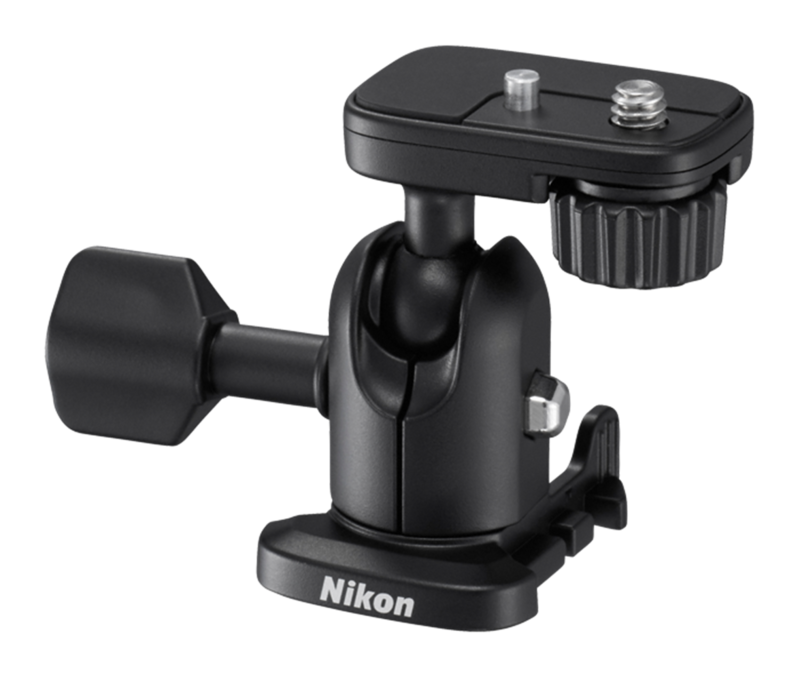 A ball-joint design enables the camera angle to be adjusted freely.